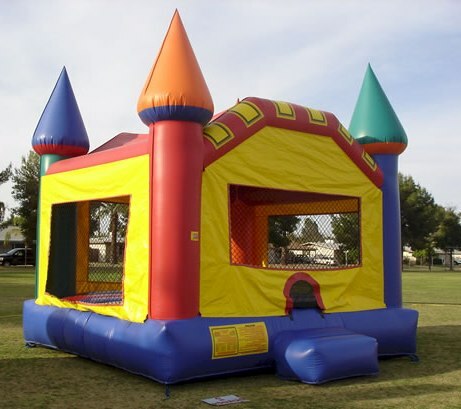 All royal lads and lassies love this large classic colorful castle bouncer. This bounce house is the perfect way to combine fun and healthy activity for fitness and entertainment! This bouncer has mesh windows on all sides, so all involved have a clear view of the fun.